The terrorist attacks on New York City in September 2001 caught the city, and the world, by surprise. More than a decade later, illnesses suffered by downtown workers continue to take a toll. During the attacks on September 11, many groups of people, including responders, office workers, residents, students and teachers, suffered devastating injuries and illnesses. Over 10,000 people in the 9/11 community have been diagnosed with one or more of the 68 cancers linked to the WTC toxic dust. 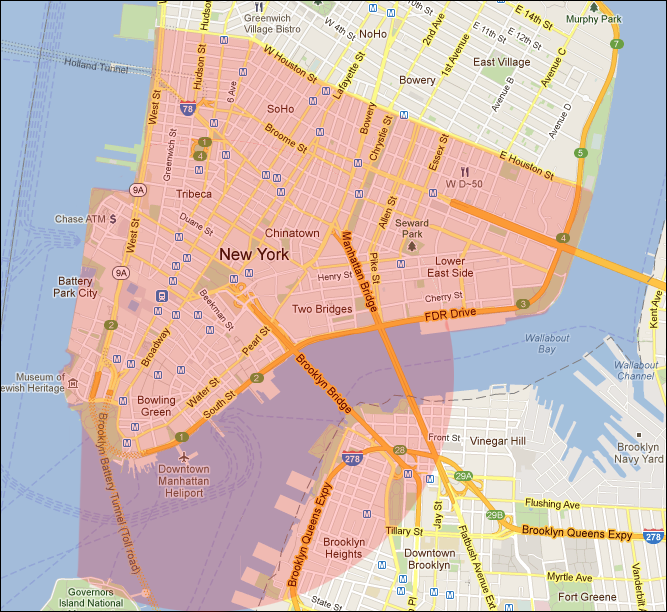 For those living and working in New York City, lower Manhattan and parts of Brooklyn are considered part of the exposure zone. To be eligible for free health care from the WTC Health Program, patients must prove that they were working or living south of Houston Street in Manhattan or in Western Brooklyn. To be eligible for Compensation from the Victim Compensation Fund, a claimant must provide evidence that he or she was exposed south of Canal Street in Manhattan, or at the Fresh Kills Landfill in Staten Island, or at the Morgue or along the debris transit route. As of July 31, 2018, the Victim Compensation Fund has awarded over $4 Billion to 23,000 claimants. For traders and financial personnel working on Wall Street during that time and after, exposure to the toxic cloud and debris changed lives. Stockbroker Brian Cosmello was one financial district worker stunned to receive the news in 2009 that he suffered from a rare leukemia caused by exposure to radiation or chemicals. On September 11, Mr. Cosmello was one of the bystanders looking at the South Tower as it collapsed. Mr. Cosmello recalled being engulfed in a cloud of dust and debris and taking shelter in a deli before wandering the locked-down city for 24 hours and finding a way out. Like many others, Mr. Cosmello returned to his job about two blocks from the World Trade Center (WTC) site on September 17 when the Environmental Protection Agency (EPA) declared the area safe for downtown workers and residents to return. It was not safe. The Multiple Myeloma suffered by Mr. Cosmello is an illness usually diagnosed in the elderly. He was 24 when exposed. Now 36, Mr. Cosmello has a young family and a lifetime of chemotherapy drugs ahead. Working and living in North Carolina, Mr. Cosmello continues to wait for a decision on his claim for lost earnings from the Victim Compensation Fund (VCF). For Mr. Cosmello and so many others affected by 9/11, the nightmare does not end. Speak to an experienced 9/11 attorney from Barasch & McGarry when you have questions about claims for injury and loss in New York City.